There we were, driving down the road out of Capitan, NM, when what to my steely eyes did appear ( and ears ), but a FAST LEAKAGE warning from my Tire Pressure Monitoring System (TPMS)! Tire ruptured in multiple places around its circumference. In examining the tire, the wear seems to show it was running untrue. 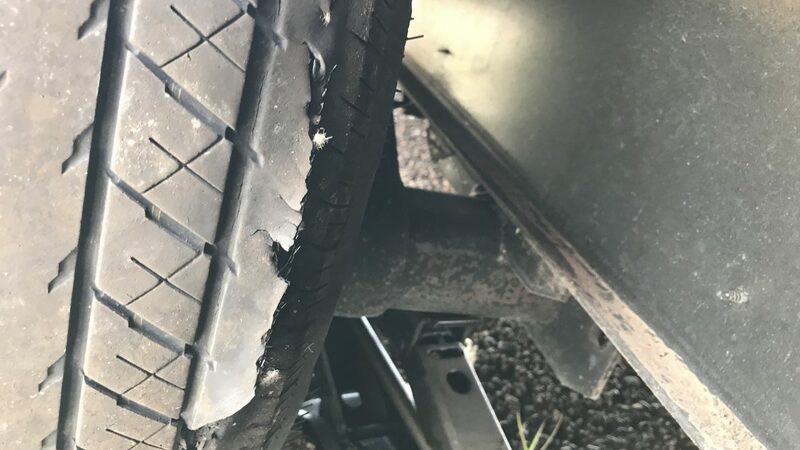 Specifically, it looks to be running with negative camber ( top of the tire in toward the car hauler ), but a similar rupture could have been due to one of the steel belts breaking inside the tire ( a common *cheap* trailer tire failure ). We had been running the tires around 50psi, and I got stopped with just 16psi left in that tire. By the time I got out to inspect it, it was still hissing the last of its pressure. 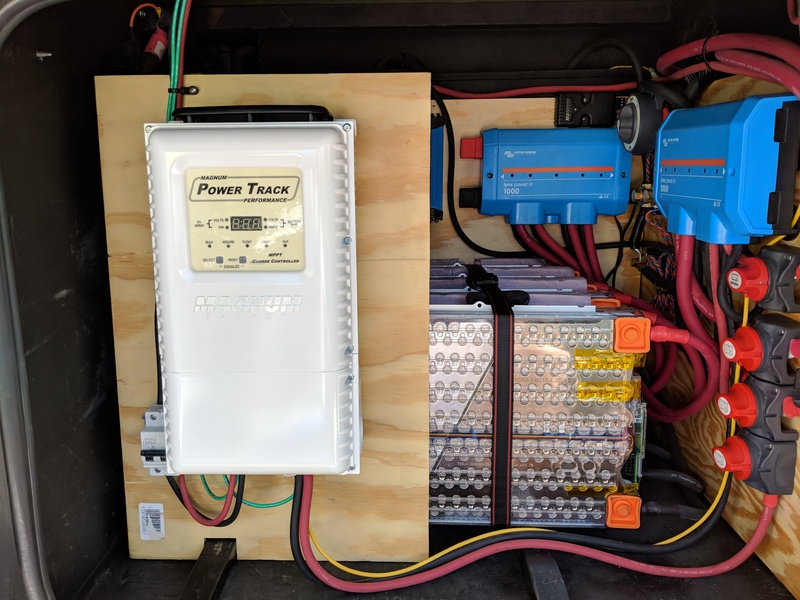 Without the TPMS, I likely would have driven many miles not even knowing anything was wrong, all the while potentially doing lots of damage to the car hauler and possibly its contents. 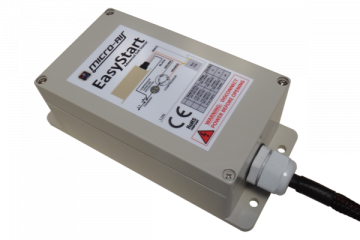 For anyone who doesn’t have a TPMS they like, we strongly recommend the EEZTire Tire Pressure Monitoring System. If you’re much over 50′ total length, I’d also encourage you to get the System Repeater. We have both units, and unlike with other systems (er, hem.. TireMinder), we’ve never lost signal on our tires with this setup. The EEZTire system also has a much bigger screen that displays both Pressure and Temperature at the same time as it cycles through the tires. Further, there’s no guessing what some little symbol means! The display shows you in plain English what’s going wrong. Another great addition, the Viair 450P-RV tire inflation system! While something this strong isn’t specifically needed for the trailer tires, the coach tires demand a strong compressor. This unit has all items necessary for a SAFE inflation ( i.e. with you AWAY from the tire, but still controlling inflation ). Including a pressure gauge, screw on inflation adapter and plenty of hose. The unit is also neat in that the pump cycles on and off as you use the air. So, once it’s turned on, you don’t have to hear the pump drone on even if you’re not attached to the tire. After getting safely to Colorado Springs, I had all 5 tires ( spare included ) swapped out with Goodyear Endurance — a relative newcomer to the trailer tire market, but built in the same Alabama plant as the G614 which has a long history of great performance. I’ll be paying close attention to the wear of that position and talking with Interstate Trailers on an alignment if necessary. A great day for a drive! Beautiful View, with a flat. Safety Vest – Another must! Look’n good, even with a breakdown. Spare on, almost ready to roll. *Also we want to thank the couple from South Carolina that stopped and offered assistance! RVers are a great group of people.